The last time Chris Brain sailed competitively was 34 years ago on a Minnow, the same Minnow that brought him out of retirement for the Aero Australian Championship he won off Black Rock on the shores of Port Phillip in Victoria over the weekend of April 1-2, 2017. The night Brain ordered the printing for his son Lachlan’s Minnow, renamed Yoda, he realised he needed to print his own so borrowed the name ‘Jack’ from his old Minnow’s original moniker, Jumping Jack Splash, reflecting his father’s penchant for The Rolling Stones. 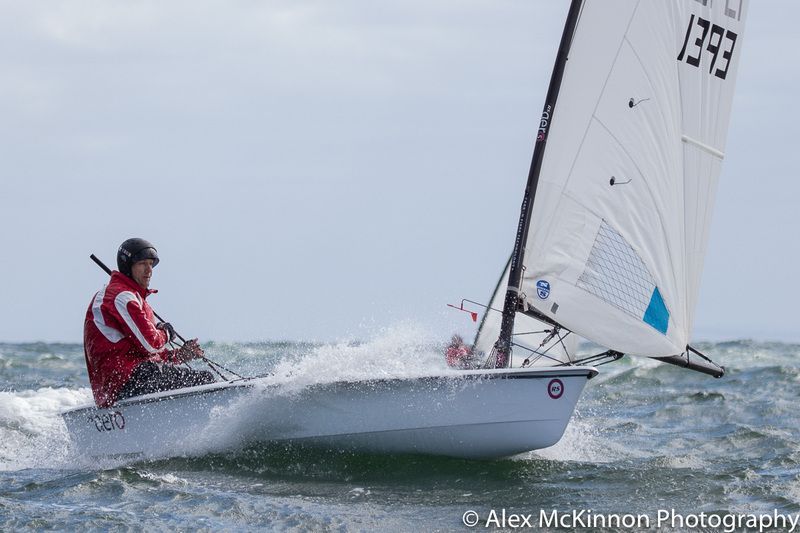 Day one of the six-race RS Aero Australian Nationals was sailed in a consistent 15 to 20 knot cold south westerly breeze making for some exciting sailing in the wind and steep waves, classic Black Rock conditions that saw a terrific battle play out for first place. While there were three different rig sizes in the RS Aero fleet it made little difference at the top mark with some of the five rigs right up with the seven and nine rigs. 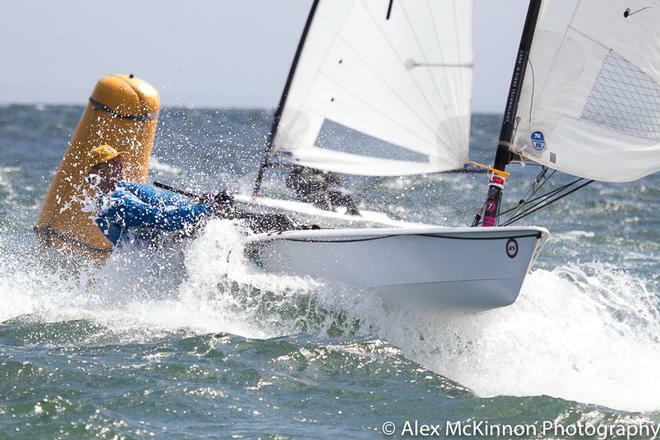 Out of the ten boats that completed all three races four were juniors and three were female sailors. 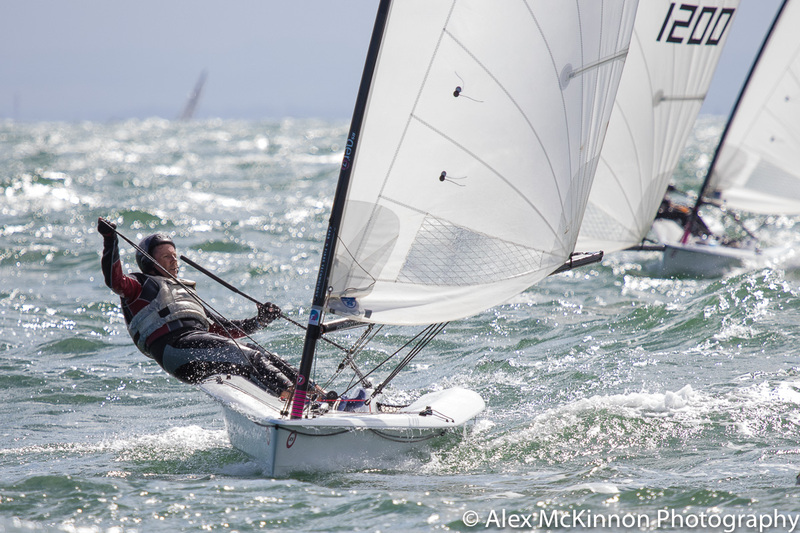 After day one of the Black Rock Yacht Club Skiff Regatta and RS Nationals Brian Case held the lead in the RS Aero 7, recording two firsts and a second, a set of results he was able to consolidate on Sunday April 2 when he cleaned up the national championship by three points from Nick Collis-George of Sydney. On his 18 months in an Aero Case said his “favourite thing is the ease of sailing, and I can walk the next day”. The ease of rigging up and the ergonomics plus the opportunity to sail fast in a modern lightweight boat make the class an ideal choice he added. Sunday saw a much more pleasant day with a 10-12 knot sou’easter greeting the sailors as they arrived at the host club. This swung more to the east prior to racing and picked up in strength as the day progressed, averaging 15 to 18 knots with the gusts peaking at 22 knots. With flatter water the differences between the 5 and 7 rigs was more obvious but the classes still enjoyed some tight racing. Class spokesperson Richard Furneaux commented that the standard of race management provided by BRYC was of the highest order. 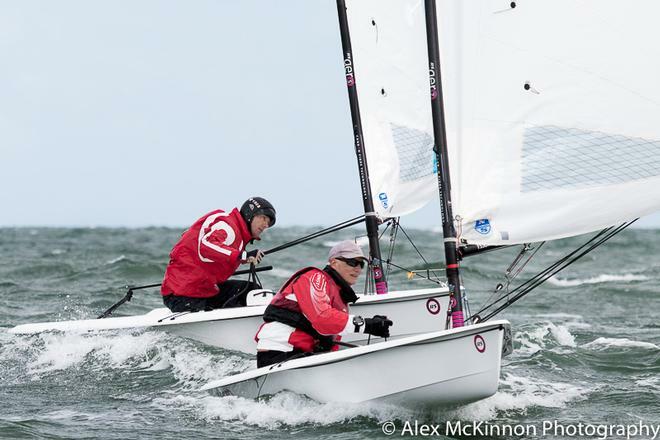 While there were 23 Aeros entered, conditions kept a number of the inexperienced sailors ashore. The 16-strong fleet enjoyed a closely fought regatta which bodes well for the continued growth of the class domestically. The first RS Aero Worlds in France later this year includes three Aussies.